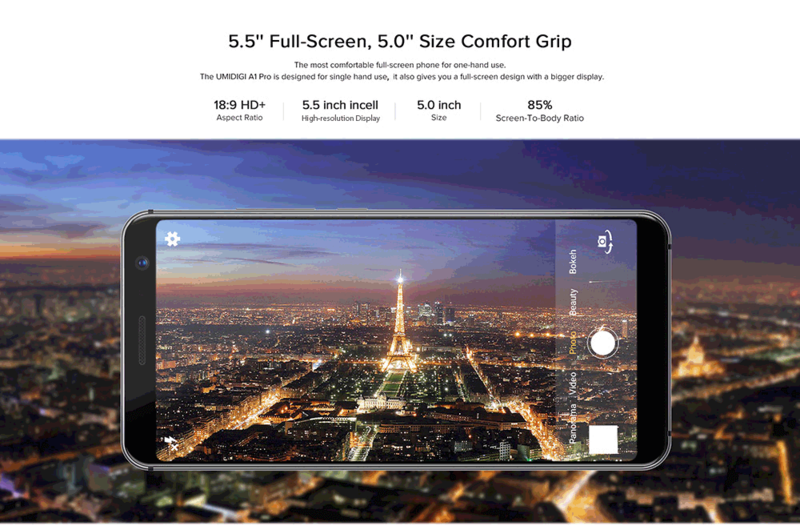 Home Phones Get UMIDIGI A1 Pro Phablet for $99 before the promo ends! 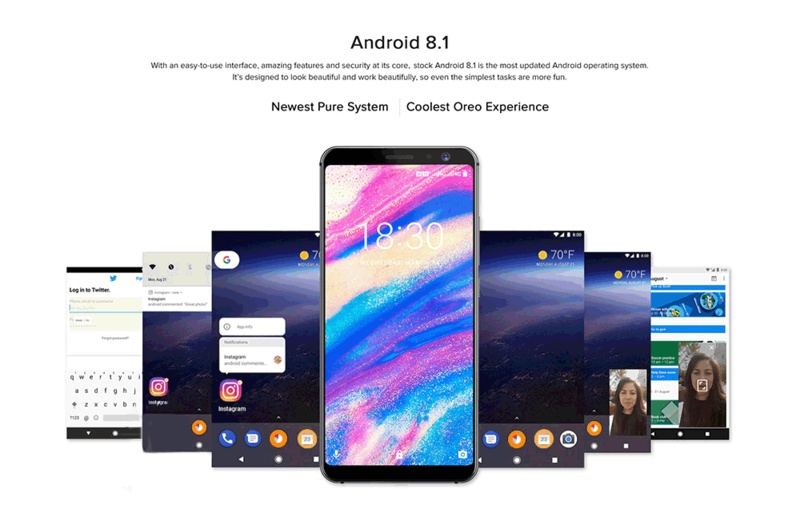 Gearbest is featuring an another one of their promotions, this time it’s for UMIDIGI’s mid-range phablet A1 Pro. It’s sized at a very comfortable 5.5 inches. features dual cameras and most importantly, Android 8.1 Oreo which is currently Google’s latest version of their Android operating system. WIth all that, it’s also shown running multiple 3D games. It does that with the help of the PowerVR GE8100 GPU and MediaTek’s MTK6739 SoC. Packing 3GB of RAM should make it more than suitable for multitasking. At it’s flash sale price, this is a bargain! Nothing is missing, at it’s price this phone features great design and some proper power under the hood. No corners have been cut, except for the screen which sports rounded corners – a feature often found on higher end smartphones only! We have to go back to the dual cameras which, as UMIDIGI claims, improves colours and reduces noise. 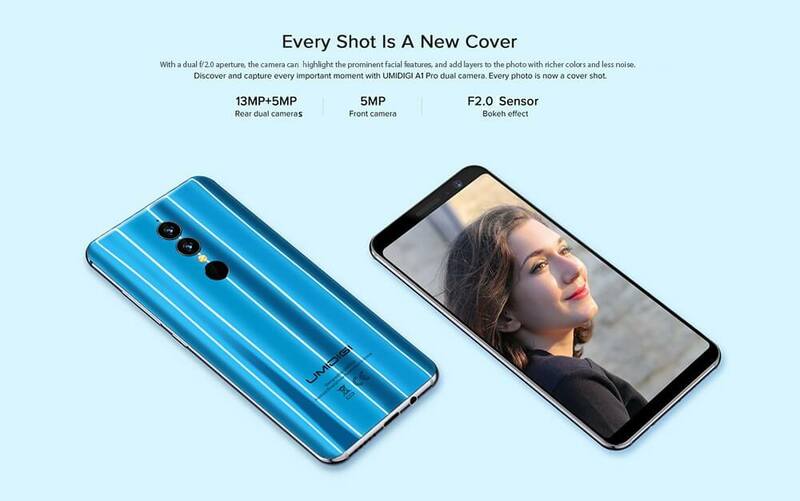 It’s speculated that UMIDIGI is using two cameras in the standard array of a main full colour sensor and a second grayscale one with higher sensitivity. It also features photo improvement algorhythms for portraits which reduce skin imperfections. Impressed? The price is the real kicker here. As noted, this is Gearbests flash sale which drops the price down to $99! Chinese companies are pushing the boundaries when it comes to making quality tech at an affordable price, and this phone is no exception.